You are here: Home » The Catholic Family » Education » The Top 9 Most Prestigious Catholic Schools in the U.S. The Top 9 Most Prestigious Catholic Schools in the U.S. If you grew up in a Catholic household or attended a Catholic secondary school, then a Catholic university will feel familiar. Besides familiarity, Catholic universities offer many other advantages for the young faithful student. Many emphasize service to others, Mass, and a structured environment, as well as traditional scholarly pursuits. The Catholic Church typically runs these schools, though some are deemed “Catholic” by way of their demographics. Public universities may identify as Catholic when a large percentage of their facility and students are considered Catholic. According to Catholic canon law, schools may only use the title “Catholic school” if it has the written consent of the ecclesiastical authority. The National Center for Education Statistics IPEDS database managed by the U.S. Department of Education states 238 institutes of higher education claim to be Catholic. These schools graduate up to 900,000 students annually. Of those, the following six stand out for their academic reputation, fellowship, and dedication to the Catholic faith. Established in 1956 within Irving, TX, the University of Dallas has consistently ranked as a top university for both orthodoxy and traditional academia. The school itself dates back to the early 1900s when Western Province of the Congregation of the Mission chartered the school. The facility has gone through many transformations, but the goal has always been to produce classically trained students who held a Catholic worldview. It’s a small college consisting of less than 5,000 total students, with a facility that sits on a sprawling 744 acres of land. It offers over 50 undergraduate degrees where a student can pursue business, STEM, or ministry. The University of Dallas is one of only 15 Catholic universities that’s home to a chapter of Phi Beta Kappa, a prestigious undergraduate honor society. The University of Dallas also has its own campus right outside of Rome, Italy in which Sophomores spend a semester abroad. The Campus Ministry is always open and welcomes students of all denominations to seek counsel or just relax. It offers structured activities such as lectures and discussion groups and Bible studies, as well as gives students a place to enjoy the company of others or meet new people. The Bishop of Dallas has little involvement in operating the university, though priests and sisters have historically taught there. Instead, the University of Dallas is run by a Board of Trustees. Notable alumni include professional athletes Tom Rafferty and Mike McPhee, as well as political leaders like Emmet Flood who served as Special Counsel to President George W. Bush and John H. Gibson, a Senior Official for the United States Defense Department. Founded in 1971, Thomas Aquinas College is a small college located in rural Santa Paula, CA. With less than 400 students and no majors, no minors, or electives, and no specializations, the education from Thomas Aquinas is steeped in the tradition of reasoning, critical thinking, and conversation that the Liberal Arts is known for. Its curriculum is based on the Great Books Program that follows and discusses the texts that have been deemed highly influential and essential to the Western culture. Most programs consist of approximately 100 books written by the greatest philosophers, mathematicians, scientists, and theologians of all time; it includes titles such as Dante’s Divine Comedy and Plato’s Republic. There are no lectures. Instead, students are guided by tutors who help them analyze and understand the texts. They’re encouraged to engage in vigorous open discussion among their peers, with little guidance from the professor. Students write several papers during their tenure and complete a fourth-year thesis that they must defend in front of a panel of faculty members. Thomas Aquinas is a strictly private institution. The school receives no funding from the Catholic Church or the government. Need-based scholarships are awarded through funding raised by private donation. Founded in 1971 by the merger of St. Benedict’s College for men and the Mount St. Scholastica College for women, this Roman Catholic and liberal arts college is a prestigious institution. Located on the bluffs overlooking the breathtaking Missouri River, Benedictine College is devoted to educating men and women in a community of scholarship and faith. With majors spanning from business and commerce to theology and teaching, there are a wide range of opportunities to pursue. This university was established in 1946 when the Franciscan Friars of the Third Order Regular were invited by the first Bishop of Steubenville to start a Catholic college catering to local students and war veterans. The 250-acre suburban campus is home to about 3,100 students. Despite its small size, it still offers a wide range of degrees, 40 undergraduate and seven graduate, including business administration, nursing, theology, catechetics, and education. Franciscan University has partnered with prestigious engineering schools—University of Notre Dame, Gannon University, and the University of Dayton—for students interested in pursuing that profession. The core curriculum combines those secular academic areas with orthodox courses like Foundations of Catholicism, Scripture and Tradition, Foundations of Ethics, Philosophy of the Human Person, and Christian Moral Principles. Classes are taught by renowned scholars such as Scott Hahn, whose research on the Apostolic Age of Christianity was the subject of many books and who has been featured on several audio lectures. Wyoming Catholic College is one of the country’s newest, having been established in 2005 and starting its first class in 2007. This intimate private institution accepts less than 200 students each year and employs less than 30 faculty members. It uses the Great Books Program as the foundation of its curriculum. Because of that integrated approach, the school offers no majors, minors, or specialized degrees. Instead, students earn a Bachelor of Arts in Liberal Arts by reading and interpreting primary sources and influential texts from Einstein, St. Augustine, and Dante. Students are required to write several papers during their tenure and are encouraged to engage in lively debates with other students. Wyoming Catholic College also integrates outdoor activities into its curriculum and student life. Incoming freshmen complete a three-week backpacking trip through the Rocky Mountains before beginning the school year. Rock-climbing, horseback riding, and caving are also encouraged. There is ample opportunity for spiritual growth in the form of Tridentine Mass, and offering Adoration of the Blessed Sacrament, as well as having a small custom chapel on campus. Catholic University of America, Washington D.C. Founded in 1887, Catholic University of America boasts a long history of academic excellence. It’s home to 20 research facilities and a School of Engineering, and it runs the Columbus School of Law. The school usually enrolls about 6,000 students each academic year and is enjoying a renewal under its current administration. The Catholic University of America offers a broad range of majors, including philosophy and theology, and engineering and nursing. It’s one of the country’s only universities with the ecclesiastical faculty of canon law. Nestled in Merrimack, NH, this small private college accepts fewer than 200 students into its program. Founded in 1978, it’s a fairly new establishment, but it bases its curriculum on that of the University of Dallas. Thomas More College, with Holy Spirit College in Atlanta, formed a non-profit publishing company called Sophia Institute Press. The organization distributes catholic books and magazines on a broad range of issues that impact the Catholic’s life. Located on what once was a sprawling farm, Thomas More College is a picturesque campus, boasting a number of beautiful New England style buildings and walkways lined with huge maple trees. Student’s looking to attend this college will not have any trouble studying Robert Frost amidst these dreamlike surroundings. 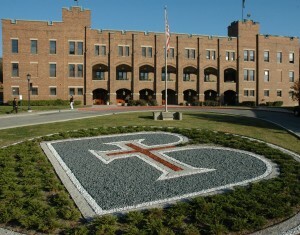 Located near the West Virginia border in the city of Front Royal is Christendom College, a facility of fewer than 600 students. Its founder, a long-time contributor to Triumph magazine, wanted to return Catholic education to that of the Catholic Magisterium. Christendom College offers graduate and undergraduate degrees including Mathematics, Political Science, and Theology. It’s possible to earn a minor in Science, Economics, or Music. Students are encouraged to join one of its many sports teams or activist groups. Founded under the name New Catholic University in 2003, the campus was renamed a few years later to honor the late Pope John Paul II. John Paul operates on a year-round schedule rather than the traditional semester schedule. Because of this, you’ll never find more than three academic classes of students within the campus, and you’ll graduate in about three years. The school is recognized for its media and business programs. Both focus on applied learning and gaining real-life experience. Students produce and distribute films created through the school, as well as work to launch their own companies. If you’re looking to attend a Catholic University in the U.S., there are many great opportunities for you to do so. The only difficult task is choosing which institution is right for you. And if you think this list is missing an important Catholic school, please share it with us! Laurel Whitworth is married to David and is a mom to four little people. She is the VP of Merchandise for Aquinas & More as well as the manager of all things family life. She and her family are enjoying their new life in Colorado with many trips into the mountains and forging new friendships in church and school. Laurel dreams of a world where all baptized Catholics rise up and follow their faith in every aspect of life.